Product #21323 | SKU 30926 | 0.0 (no ratings yet) Thanks for your rating! 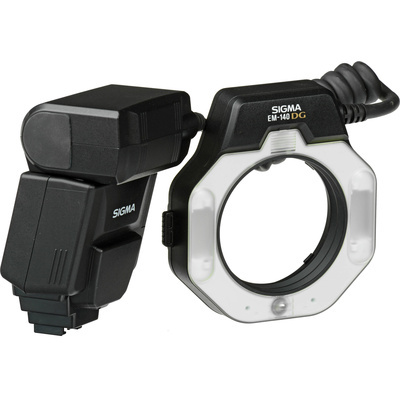 The Sigma EM-140 DG Ring Flash is ideal for photographing subjects in fine detail - close-up photography - and is extremely effective for scientific and medical applications. All digital cameras are compatible with the following features. Certain of these features depend on support from the camera. please click here for a camera/flash function compatibility chart.